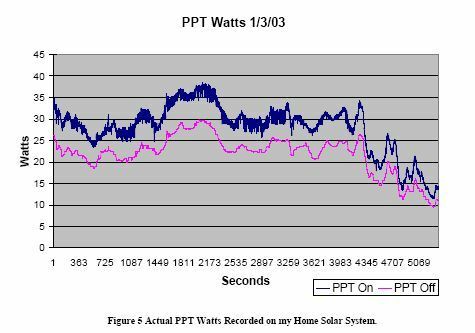 SolarWind is a solar powered router project, with which I’ll investigate if it’s possible to run a router 365 days without an external power supply. Yes, it has been done before, but not at this small scale: Only 20Wp cell plus monitoring circuit to measure energy consumption and earnings. Current configuration WLAN Client which submits the data to cosm. Currently there’s no practical use apart from measuring data and publishing the results. Attach webcam and shoot pictures on demand by twitter people (Hey @SolarWindRouter, how’s the weather)? cooles Projekt, ähnliches wird auch http://guerillamesh.net/ gemacht. Dann könnt ihr noch statt nen billigen Solarlader ein Laderegler mit “MPPT” selber bauen, das wird dann schon schwierig, aber da kann man auch noch mal 10-20% mehr aus der Solarzelle rausholen. Da ihr schon Strom- und Spannungs-Überwachung habt, braucht ihr eigentlich nur noch einen Schaltregler (Load-regulator, current-regulator) den ihr mit einen MPPT-Algorithmus im Mikrocontroller regelt. Wir haben vor einen MPPT-Regler zu basteln, aber für ein ein paar 100W Solarzellen… hoffentlich kriegen wir was hin, dann berichte ich auch. Das steht in der Tat auf meiner Liste, da ich Laderegler+Monitoring+Router auf ein Board reduzieren möchte. Zum Einsatz kommt dann irgendein Ultra-Low-Power AVR und natürlich eine SwitchMode-PSU, die direkt auf 3,3V runterregelt (im Moment regelt das Carambola-Devboard nochmal separat von 5V auf 3v3, welches nochmal unnötige Verluste erzeugt). Da das Carambola1 sowieso nur ein Ersatz und auch nur ein Proof-of-Concept ist (nämlich: Das System bauen und versuchen, die Leistungsdaten zu monitoren), kommt $bald die Optimierung. Da mein Ziel auch eine Kostenreduzierung ist, wird es allerdings einen Trade-Off zwischen Effizienz und Kosten geben. Aber danke für die Info zu MPPT, das kannte ich vorher noch nicht. Da das Impressum deiner Website sagt, daß du aus der “Nähe” von Karlsruhe kommst: Ich halte darüber auf der GPN13 (http://gulas.ch) kommenden Samstag einen Vortrag darüber. 😛 I have been working on a solar powered project on https://www.qraqrbox.com/box I have been using dataloggers to log the charge state of the battery. I like the idea of the carambola boards as they seem even lower powered than what I am using. I am very interested in your voltage and current measurement system. Do you have the code you developed in the Atmega168 available? Is it Arduino based the current/voltage monitor I mean? I’ve just pushed the firmware to https://github.com/felicitus/CurrentMonitor which contains the schematic as well. Hope that helps! Just what I needed 😀 thanks for uploading to github. Did you etch your own board? I have access to both an etching plant and a CNC PCB router. Anyway many thanks for your great work. Thanks for sharing all this data! But I have a question: is that battery (12V / 5Ah) enough to power Carambola for 24h without sun/charging? Yes, absolutely! It’s even sufficient for 2 days. The circuit draws about 100mA@12V, which means that it can power the circuit for 50 hours, which equals a bit more than two days without any charging. I was asking, because I recently stumbled upon battery pack for WR703n. It was a 5V/4Ah battery and it was supposed to allow continuos work for only 5 hours. And I was surprised, because WR703n only draws 100mA@5V, so it should be 4000mAh/100mA=40h. It has almost identical hardware to WR703n and 2600mAh battery and tp-link claims it lasts 7-8 hours on a battery. In this case realistic value (7-8) is only half of theoretical one (17h). Thank you for a quick and kind answer btw! Well, it depends on how much you utilize the router. Actually my router doesn’t route at all currently, it is idle and just submits its power usage data to the web, so it’s mostly idle. I have done a few measurements with WLAN load and came to the conclusion that the router draws about 1.5 times more power than if it’s idle; 150mA@5V. The problem with the mAh figures is: They are kind of cheating. For example, I’ve got a power bank with 10000mAh. Sounds impressive, and I should be able to run an USB gadget which requires 100mA for 100 hours, right? Well, actually no. The 10000mAh figure is at 3.7V which the batteries have. So it’s easier to calculate in watt hours: 37Wh for the battery pack and 0.5Wh for the gadget. Additionally, there will be conversion losses, which the manufacturers usually don’t tell (at least 10%, probably more). The power bank for the TL-WR70x series doesn’t tell the voltage of the battery, so the mAh figure is marketing nonsense again. I guess it’s 3.7V again, and only at idle. So probably they’re giving worst-figure performance. If you’re going to buy a Carambola2, remember that you need an efficient step down converter. You can get those on eBay (LM2596 based ones have an efficiency of about 85%). In my case, my circuit draws about one watt on the primary side, so my current Carambola1 board draws about 0.7W (1W with conversion losses). Remember that it’s a huge difference if you got 1000mAh@12V or @3.7V! If your Carambola2 is idle, it would draw 0.5W, but rather expect 0.7-0.8W due to DC-DC converter losses and routing stuff. So it’s about 19.2Wh a day. A 1.2Ah/12V battery only has 14.4Wh output. Also remember that you shouldn’t deep discharge your pack, and you also loose some capacity if your battery gets cold in the winter. Also, experience shows that 2 days of operation without sun is unrealistic; currently, I’m heading for at least four days of operation without sun because the router had three outages in may due to missing sun. Holy crap! That’s insane. I did a follow up calculations as you suggested and if I need 20Wh/day from a battery and I can’t discharge battery more then 70-80% and if battery will loose some capacity (because it’s getting older or it’s cold)… It tells me that I need a battery that can output around 35Wh to last 1 day! And for 12V it is 3Ah battery. All that for a tiny little Carambola that draws 0.5W of power. That definitely puts a lot of my ideas into different perspective. I can’t thank you enough. You’ve probably saved me from buying inadequate gear. You’re work is truely inspirational. If i build a wisp nodes, ill donate for sure! Can you personally recommand any usb wifi radio’s that are low usage? is it possible you could post some example output somewhere of your current monitor output on a shell. And are you offering any prebuilt units? its just my laser printer is so low res i doubt i would get a good pcb. Not at the moment as the router is currently powered down due to rework (I’m finally implementing a MPPT charge controller and Carambola2). I been looking everywhere and cant seem to find what i want, Is there a way to do what you are doing without the microcontroller just do it all on the soc? It probably is, however, you need to do quite some system design to make that happen. Using a dedicated µC gives more flexibility, plus it’s instant on. The SoC needs quite some time to boot, and a realtime operating system would be necessary.